This dining console brings a rustic cottage charm with its visible wood grain and elegant curves. 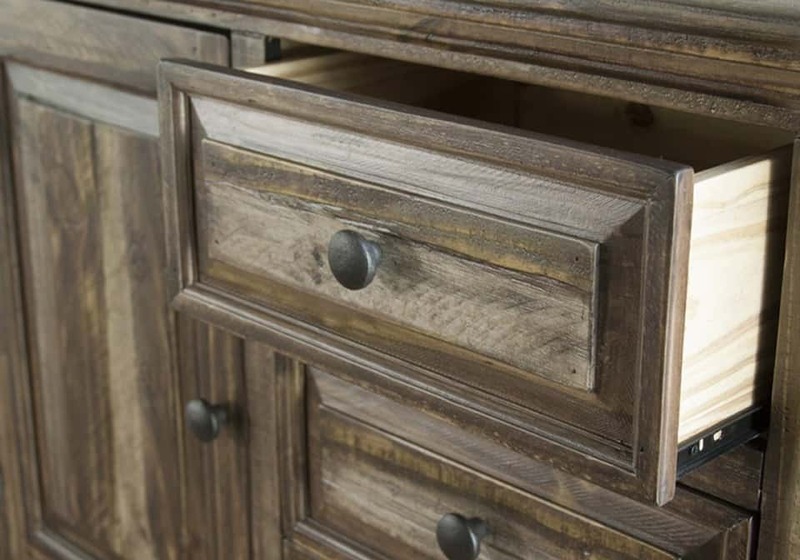 Plenty of storage for all of your dining needs, this console has four drawers in the center and a door on each side. 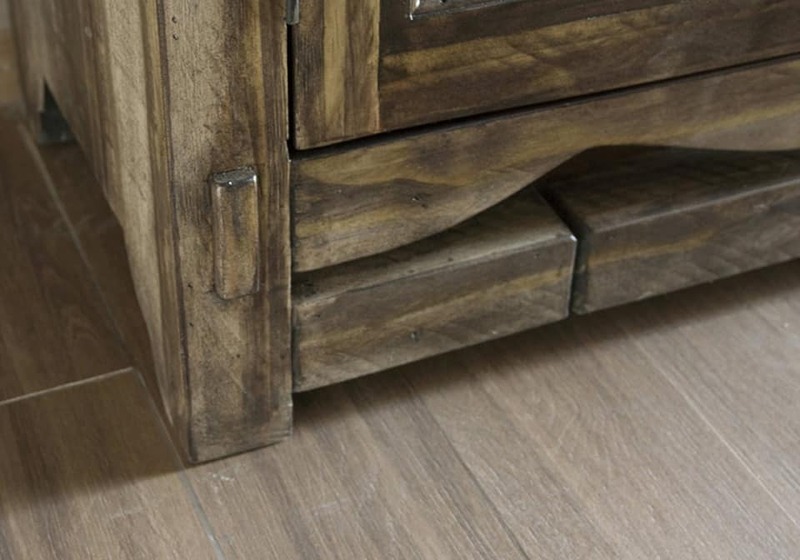 This rustic cottage styled collection brings comfort and charm to your home. Built to last, this collection is built with solid Pine wood, has mortise and tenon construction, English dovetail joinery, and metal ball bearing glides. 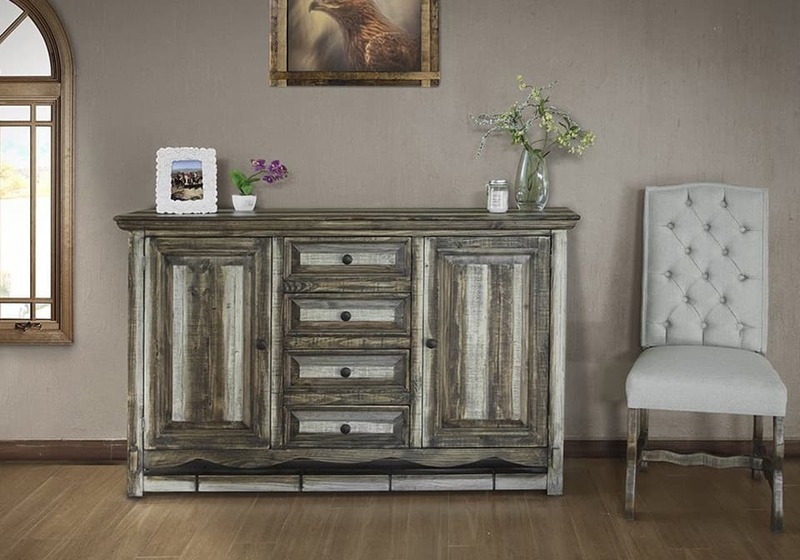 With a blend of masculine and feminine characteristics, this collection is perfect for any home.